With so many types of settings to choose from, it is difficult to choose which one is best for you. We hope this guide will make the choice a bit easier. Bezel settings use a type of elevated collar which wraps the rim of the diamond in a complete metal edging. This type of setting is the most secure fastener for the stones. The bezel setting also protects the stone better than other types of settings, such as the prong setting. Prong settings use metal projections or tines, called prongs, to secure a gemstone to a piece of jewelry. They can be done in any configuration. In a tension setting, the gemstone is held in place by pressure rather than prongs, bezels or other mounting designs. An illusion setting is a prong setting designed to make a diamond look bigger than it actually is. This is accomplished by a ring of metal surrounding the girdle of the diamond that is often brightly cut. An invisible setting is a mounting that holds the stones in a ring so that the setting itself is not prominent. Usually the stones are grooved to fit right up against each other. Bead setting is a generic term for setting a stone directly into metal using gravers. They are also called burins, which are essentially tiny chisels. A hole is drilled directly into the metal surface, and then a ball burr is used to make a concave depression just the size of the stone. Flush setting is when the diamond or gemstone appears to sit flush with the surface of the metal – similar to a bezel setting where the crown of the diamond is the only exposed area. A belcher setting resembles a flush setting but the center stone is held by prongs which are cut out of the shank. In a channel set ring, diamond accents are placed in a “channel” formed by two strips of precious metal. Grooves on both walls hold the diamonds securely in place. Bypass rings were popularized in the Victorian era. Characterized by bands that overlap and part, rather than forming one simple continuous line, they are sought after due to their distinctive style. 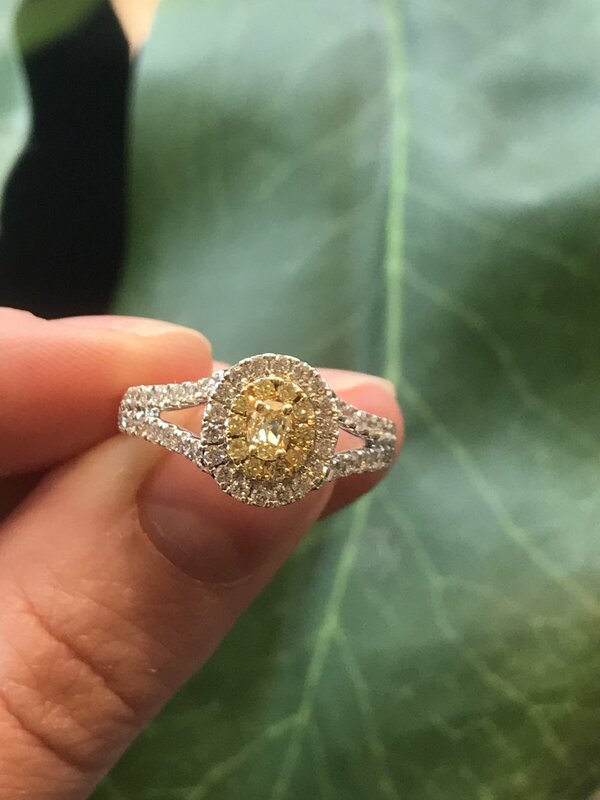 These bypass rings can hold many different diamond shapes and colorful gemstones to create unique pieces. Whichever setting style you choose, you can be sure Tick Tock has carefully looked it over to insure its quality and integrity. Posted on March 11, 2019 by Nicholas Gentile. Flowers have been linked to love for hundreds of years. In Victorian times, it was popular to give them in the form of jewelry, as a sentiment that would last longer than the real thing. Each type of flower had a different kind of symbolism and meaning for its wearer. When purchasing vintage jewelry or carrying on this tradition with new pieces, it is important to be informed on what each type means. Lily for "purity" and "innocence of the soul"
Posted on January 9, 2019 by Nicholas Gentile. Posted on September 19, 2018 by Nicholas Gentile. Follow us on Instagram & Facebook for our favorite looks from this years Met Gala on May 7th 2018. Check out the documentary “First Monday in May” for a behind scenes look at a previous Met Gala. Posted on May 9, 2018 by Nicholas Gentile. On Saturday June 22nd & Sunday June 23rd you are invited to join us for our second annual Lika Behar Trunk Show! 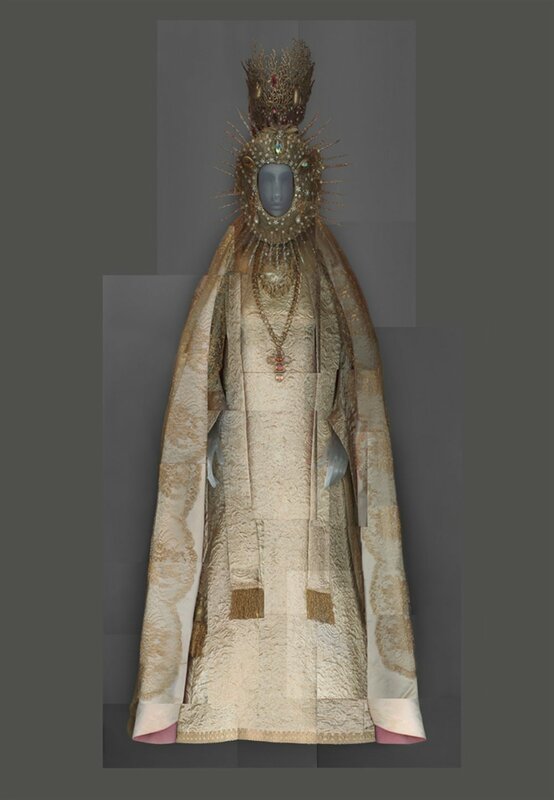 Acclaimed designer, Lika Behar, creates unique and intimate works of wearable art inspired by ancient civilizations & the Mediterranean. Her hand wrought individual designs reflect ancient history as well as the modern feminine spirit. She works with 22 and 24 karat gold, diamonds, rubies, emeralds, sapphires, oxidized sterling silver and a myriad of beautiful gemstones of extraordinary color. The collection showcases fresh and lively hues with striking color combinations graced with the warmth of pure gold and the shimmer of diamonds. In addition to her existing pieces she will custom make a special item just for you. Join us and shop the collection or special order something unique! Posted on May 2, 2018 by Nicholas Gentile. Here at Tick Tock Jewelers we have a wide and varied assortment of engagement rings. Not only do we carry vintage estate pieces, but modern designs as well. We have a special love for engagement rings. We’ve been privy to many future marriage proposals and been part of countless couples' journey to find the perfect rings. There is magic that happens when the perfect ring slides onto your finger. Your eyes light up, the finger moves to show the sparkle and you know you don’t want to take it off. You know in that moment that you have found THE ring. Posted on March 7, 2018 by Nicholas Gentile. Each love story is just another reason to find hope in the world. Whether you've been together since day 1 or it was a journey to find each other, every story has one lesson, love is always worth it. Julie Jolicoeur I believe my husband and I have a true love story. We were set up on a blind date by mutual friends. We had never met before. We met on a Friday and have literally together since that day. Married 10 years together 13. The funny thing is another mutual friend was also trying to set us up. Must be everyone knew but us. I love him more everyday and am the luckiest girl in the entire world. Chel Dawn Vallone-Phillips My husband and I met freshman year of high school we both had crushes on each other but never said anything. Senior year while doing community service together he finally admitted it and a few days later asked me out. We have been together ever sense. We have been through so much. In 2016 our house caught fire while I was pregnant as a gestational surrogate. We have two kids together and he is my rock-he is my happily ever after. Together almost 10 years married almost 5. Julie Peoples-Clark My husband Dave and I have been married for 18 years. Three years into the marriage I gave birth to our daughter Ella, who was born with severe disabilities. We suddenly went from a young married couple to caregivers for an extremely medically fragile child. Our marriage survived. We poured ourselves into caring for Ella. We were consumed with her daily needs. Ella passed away at our home in our arms when she was 11 years old. After a long illness that forced us to make the painful decision to place her in hospice. Our marriage survived. 2.5 years ago, I gave birth to our surprise rainbow baby boy. Our marriage has survived the unimaginable, not only survived, but thrived. Our respect and love for each other has grown stronger with each and every challenge. Taylor Thompson I met my handsome guy in high school, who asked me to be his girl at my surprise sweet 16. From there we spent 2 years together and he happen to be my first love. My family was just as in love with him as I was. As we were in high school we both needed to be mature and we were meant for one another at that point in our life. We separated and spent 4 years apart growing, maturing and doing our own thing. Our love for one another never went away and was so strong that we reconnected. After those long 4 years we are back together happier than ever and understand that, that time was needed and only made our relationship strong. My family is just as happy to have him back in our lives. Our future holds great things, because our love for one another is so strong. Catherine St Peter Paya I met my husband through my best friend. I knew immediately that he was something else. We started building a friendship that soon turned into full love. We were the best of friends and did everything together. We never even had an argument. He was the best thing that ever happened to my. We married and then things went south. Sadly he past away. I’m in to my eighth year of being a widow and I still can’t bring myself to date again. He was my complete soulmate. I miss him every day. Lori Hobart My husband and I hung out with the same group of friends in high school. We went away to college and lost touch. 14 years after we graduated, one of our friends got married. I noticed him right away when he walked into the ceremony. He happened to be in the area to pick up his children who were visiting their aunt. At the reception, I went up to him and just started babbling. From the look on his face, I realized he did not recognize me. So, I re-introduced myself. We spent the rest of the night hanging out with our friends and the bride and groom, having fun. 7 years later, he reached out for all of us on a classmates website. Turns out, his friends here thought that was the best way for him to find me. I answered! March 2005 we started a long distance relationship. He was here in Vermont, I was in Philadelphia. We got married in 2009 and finally started living together, here, in 2012. As much as I loved Philadelphia, my husband is so adorable that I moved. He is worth it and it is better being together. Meltingeve I asked someone who I briefly met through a mutual friend (literally an interaction that was a minute or less) out on a date via Facebook messenger five months after first meeting him. Right after he opened and read my message after a business lunch he opened a fortune cookie that read, “A passionate new romance will appear when you least expect it.” He saw that as a sign that he had to accept the date! I didn’t know about the fortune cookie until we had been dating for a few weeks, but when he told me about it, he took the little white strip of paper with the fortune out of his wallet that he had saved from that day I asked him out. I just found that so incredibly hopeful and beautiful that he kept that fortune…..that was almost 3 years ago and we just got engaged this past Thanksgiving! Posted on March 6, 2018 by Nicholas Gentile. 2018 is nearly upon us and everyone knows what that means. The spirit of motivation and positive change will abound (at least until February). This year, why not think outside the box for your resolutions? At Tick Tock Jewelers we have a list of resolutions which are achievable-smart investments that will also make your favorite jewelry even more alluring. Did you know that you should have your rings checked at least once a year? Not unlike people, a good check-up from a professional does preventative wonders for your valuable jewelry. Risks of not having your jewelry checked regularly and maintained can include breaks, deterioration, prong thinning and even the loss of stones. It only takes a few minutes for qualified jewelers like the ones at Tick Tock to inspect your pieces and let you know if it is safe to continue wearing them or if any minor repairs are needed. Make a point to bring your favorite pieces in so you can wear them with confidence this year. While you are getting your jewelry checked it is also the perfect time to get it cleaned or polished. A few minutes in an ultrasonic cleaner can do wonders for the appearance of your fine jewelry. We offer this as a complimentary service to customers who are getting their rings checked or even to first-time shoppers as they browse. If you have rings that you wear often it may not be long before daily wear, hand creams and exposure makes them lose their sparkle. Fortunately this can be remedied quickly and at no cost. Chances are you have an assortment of necklaces that have become tangled. While it’s great that your jewelry has bonded, this does not serve you well as none of these pieces can be enjoyed and worn. This can prove to be a challenge to untangle for even the most dexterous and determined individuals, not to mention the fact that it’s time consuming or could lead to the destruction of your jewelry if not done carefully. Save yourself the trouble and bring your knot to Tick Tock. If it’s an easy fix we can attempt it while you wait free of charge but for more complex and time consuming knots there may be a small charge. It’s still nothing compared to the cost of replacing broken gold chains and jewelry. Most of all, it is important to make sure that your jewelry is appraised by a verified jeweler and that your appraisals are up-to-date. People never think twice about paying their car insurance although some may own jewelry just as expensive or more expensive than their cars and have never had an appraisal. This means if anything were to happen to their jewelry or if it were to be stolen, there would be no protection or recompense. For the average one-time price of a single monthly car payment, you can have your most valuable jewelry appraised and rest at ease. Your information will also contain interesting information about your piece and its true value. So think outside the box this year for your 2018 resolutions and take a few simple measures to keep your jewelry stunning and safe. We will be here at Tick Tock to ensure your success. Posted on December 29, 2017 by Nicholas Gentile. Gifts from Tick Tock Jewelers can be passed down and enjoyed for years to come! As the temperature drops, the air becomes crisp and snow begins to drift down upon us. Even the smallest of towns are illuminated by holiday lights and festive displays. Holiday music floods the airways and classic tunes evoke a sense of warmth and nostalgia. The cheer all around is intangible yet undeniable. It’s official: The holiday season has begun. Posted on December 14, 2017 by Nicholas Gentile. Three wonderful elements that make up the world around us. These things share something unique in common, something a little more than just matter itself; birthstones! For centuries, cultures around the world have used stones and gems to interconnect phenomenon with the spiritual earth around us. The commonly known “birthstone” is an example of this. Birthstones were assigned in correspondence with the 12-month period of time in a year. Thus, both you and I have our own birthstones. There is further correspondence between birthstones and the zodiac calendar. Each period of time is assigned a zodiac and is thought to be ruled by each planet in the solar system. With a stone assigned to each zodiac in accordance with each planet, the astral energy can be received through the stones as healing powers. Now, if you’re a skeptic, you may be wondering where these ideas came from. However, this is not a new practice. Ancient Greeks would rub crushed hematite on their bodies before battle believing it would make them invincible. Indian tradition practices crystal meditation to heal emotional and physical imbalances, often tuning into and strengthening the flow of energy throughout the seven different energy centers in the body known as Chakras. The Chinese would use crystal tipped needles during acupuncture, believing they were medicinal. The dead of Ancient Egypt were often buried with a quartz atop their forehead in hopes that it would guide their spirits safely to afterlife. The bible Exodus 28:15-30 spoke of Aaron’s gold breastplate, imbedded with 12 stones to represent the 12 tribes of Israel. This specific reference is where experts believe the concept of the birthstone itself was established. Posted on September 1, 2017 by Nicholas Gentile. Damascene Jewelry is truly breathtaking; after all, it was named for replicating the beauty of Damask silk. 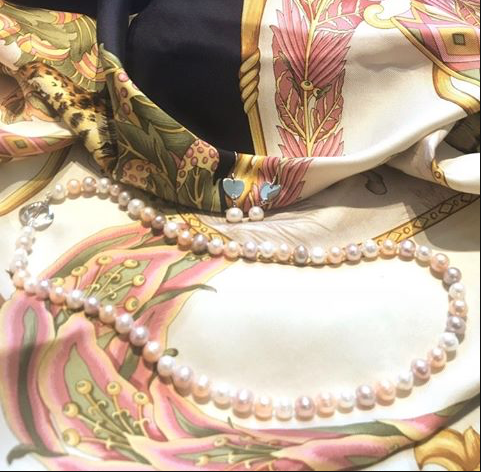 The intricacy of designs on damask silk are duplicated onto jewelry by inlaying different types of metals into each other. The process is done by first etching designs into darkened (oxidized) metal and then filling the drawings in with spools of silver and gold foil, all done by hand. Genuine damascene jewelry commonly uses 18kt or 24kt gold and silver foil, while faux damascene may be replicated with black enamel paint and raised details (instead of carved.) It may also have a painted white edge, which is very uncommon in genuine Damascene jewelry. Artisans in Damascus, Syria, were the original creators of this process; it is believed that Damascene was brought to Japan via the Silk Road in the 8th century. Japanese designs tend to feature oriental and landscape designs. Pictured on the right is a vintage Damascene pin. Posted on August 28, 2017 by Nicholas Gentile. Rubies have represented power and strength for over a thousand years; their color reminded our ancestors of blood, anger, passion, and beauty. They are mentioned in the bible as being tokens of wisdom. Rubies have been carried with warriors to offer protection from enemies, but it doesn’t stop there. In Burma, an ancient ruby source that is now Myanmar, to be invincible a fighter would insert rubies deep into their skin before battle. They are so important in early cultures because they were considered the most precious of the 12 stones created by God. In modern times, the desire for rubies has not subsided; they are the perfect romantic gift. 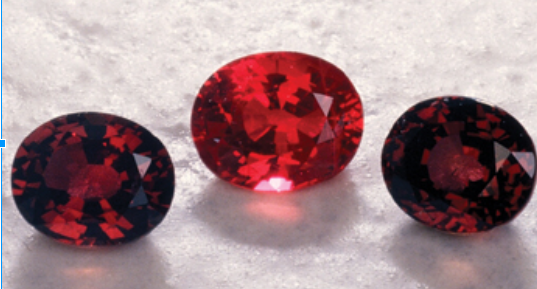 Rubies range in color from pink to deep red; they are essentially red sapphires. The presence of Chromium is what causes the red hue. The most valuable rubies are a medium-deep red that is often called “pigeon’s blood;” much lighter or darker is less valuable. Not only is Ruby the birthstone of July, it is also the traditional gift for 15th and 40th anniversaries. Posted on July 28, 2017 by Nicholas Gentile. Amethyst: The stone of love. Amethyst is the stone of love, an antidote to drunkenness, and a cure for evil thoughts. All the makings for a romantic Valentines Day brought to you by February’s birthstone, amethyst. St. Valentine, the patron of romantic love, wore an amethyst ring carved with the image of Cupid. The astrologist, Camillo Leonardi, wrote that it was thought to heighten ones intelligence. The once rare and tremendously expensive stone worn only by royals is now more readily available and affordable thanks to large deposits found in Brazil. Amethyst is a beautiful purple color that is well matched with white gold, yellow gold, and looks spectacular with rose gold. Whether you were born in February, love Valentine’s Day, or just hope to drink all night without the side affects, this is the stone for you. Posted on February 15, 2017 by Nicholas Gentile.